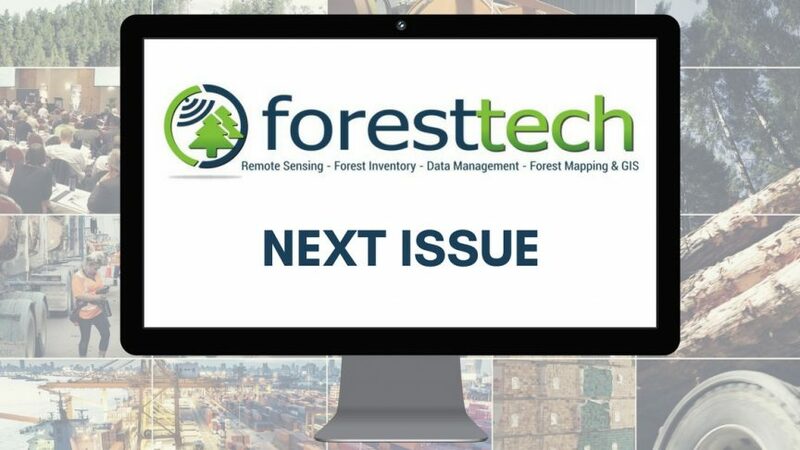 Welcome to this latest issue of www.foresttech.news. Thanks for the feedback on the new video section of our website. Videos drawn from recent presentations at ForestTECH events (with speaker approval) and clips from more recent articles and reports will be added to what’s there during the year. Your contributions, of course, are welcomed. Building on the theme of last year’s ForestTECH 2018 series, Microsoft’s HoloLens 2 has just been launched. Hololens and opportunities for forestry applications were covered last November with presentations given by Microsoft and Taqtile. Of course, they’re promising more features and better virtual and augmented displays with the updated augmented reality headset. With the new release, Trimble has also announced a new wearable hard hat compatible device that’s going to enable workers in safety-controlled environments to access holographic information out on the worksite. Forestry again springs to mind here. We’ve included several drone stories this month. One takes a look at how they’re effectively being employed in farming operations in Australia and in the other, how data is collected using thermal imaging with AI is allowing for the more frequent and accurate detection of specific individual animals or species of animals, in this case for koala management. Other stories include ESRI who’ve just announced their partnership with 3LOG Systems, where they’re incorporating log inventory management with spatial analytics technology and Interpine, who have just posted a story on their website showing a web map drawn using Planet Imagery comparing pre and post-fire, 3m resolution satellite imagery, from the Pigeon Valley Fire 2019 in the Nelson area. And finally, we haven’t as yet started to look at content for the annual ForestTECH 2019 series which will run again in November of this year. We plan on sending out an Expressions of Interest to present at this year’s forest technology series in a couple of months. However, we’ve already got a number of readers that have made an early pitch to be involved this year. As an early advance on the more formal call for presentations, if you’d like to put your name or company forward to be considered to present this year, please make contact with brent.apthorp@fiea.org.nz. If you haven’t already, you can subscribe to this email newsletter.